How to love a hobby and not be a perfectionist. You don’t have to be a perfectionist to sew. I promise. A while back, I talked about sewing a 'Greyt' dog bandana in this post. And around Christmas time, I sewed a Pier 1 knock off pillow for just $6! Find out how I did that, here. I recently have found a new love (and appreciation) for sewing. It's quite relaxing. And very rewarding. 6 ways to sew and not be a perfectionist. Here we go! I’ve always had a small interest in sewing. As a young girl, I always wanted to ‘play’ with my grandma’s sewing machine. Crazy? Maybe. Sewing is always a thought in the back of my mind, and it just so happens to be that one thing I never seem have time for. That’s until I finally figured out why. I needed a little inspiration! People around me. My grandma hems my pants. My mother-in-law sews the coolest quilts, purses, pillowcases, etc. You name it she could probably sew it! Pinterest. 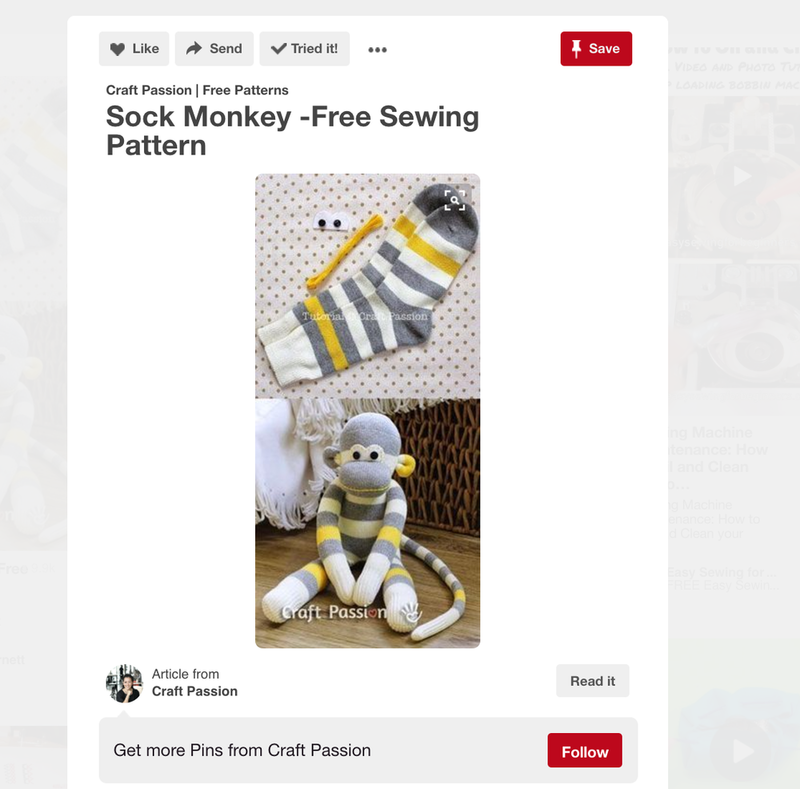 Have you ever searched for ‘DIY sewing projects’? There are SO many cute ideas. This alone will get you inspired. 3. Reading other blog posts related to sewing. This is what inspired me over the holiday season. Sometimes all it takes is an idea from someone else to spark some creative thinking! Click here to make this pillow! 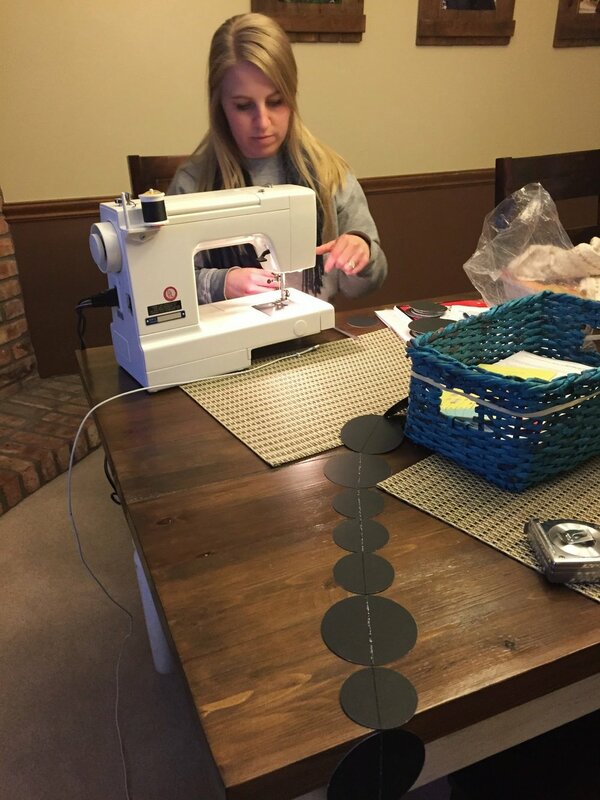 You don’t need a ton of sewing skills to get started. Trust me on this one. I did it. Cut fabric in a straight line. More on this in the next section. Be able to thread the sewing machine. I am positive that all sewing machines come with a manual. You will save yourself time if you practice this a few times before you get started. Sew in a straight line. There are marks on the sewing machines to help you keep your fabric in line. Again, practice feeding your fabric through the machine at different speeds. My sewing machine has a pedal, which I love. No matter if yours has a pedal or not, practice, practice, practice! Pinning fabric. You will stick yourself, accidentally, a few times. Practice pinning fabric together before you sew, and find what works best for you, and keeps you safe. A sewing machine. I borrowed my grandma’s machine when I started. I already knew how to use it, I felt comfortable with it, and it didn’t cost me any money. Thread. Find yourself a Hobby Lobby or JoAnn Fabrics and purchase some thread. I always like to have some basic colors on hand: white, cream, black, tan, navy. I use those colors a lot so purchasing them is never a waste for me. A good pair of scissors. Can you use your daughter’s scissors from her pencil pouch? Sure. But they won’t work as well as they should. Invest in a good pair of sewing scissors. I promise you will thank me later. Pins. They are inexpensive and you usually get a good amount for your money. Again, find some that you will feel comfortable using. A cutting mat. This is optional. But, I feel is essential for me. It’s REALLY hard to cut fabric in a straight line without it. I found that out the hard way. This will make your life so much easier. I love to do things ‘for fun’, but let’s be honest, if it involves a challenge I am ALL IN! No matter how big or small the challenge may be, I always learn something new afterward. Okay friends, I said some. I will admit, I am not the most patient person. I like to get things done. I like to have a plan. I like to know when and how things will happen. Alas, I can still complete a sewing project, with some patience. And so can you. Here are a few ways I found some patience. Work solely on the sewing project for several hours. If my mind wasn’t being distracted by other things, it was easy for me to focus for several hours at a time. Listen to your favorite music or podcast. As with anything else, a little country music playing in the background makes everything better. Don’t stress over small mistakes. Yep, I said it. Mistakes are OK! And if for some reason the mistake ends up being too big to ignore, you can always take out the stitching. Click here to make this dog bandana! Everyone has a little bit of creativity. You just have to find it and love it. Once I started to love and appreciate what I was doing, sewing started to get easier and become a lot more fun. 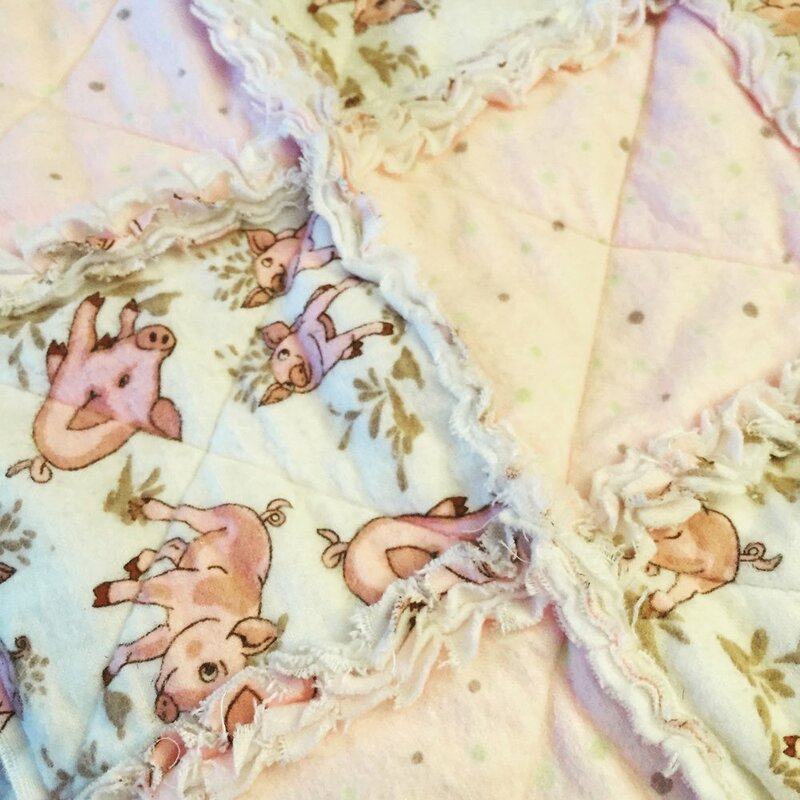 Here’s how I look at it - I could go buy a baby blanket at Target (which is totally fine by the way, I have done this), but if you could sew one yourself (maybe even for less money than purchasing one) how special is that!? You made it. Your love lives in that blanket. And the baby who will use it is always wrapped in your love, and your thoughtfulness. There aren't too many things in this world better than that. Now, put all of those things together and you are on your way to sewing something beautiful. 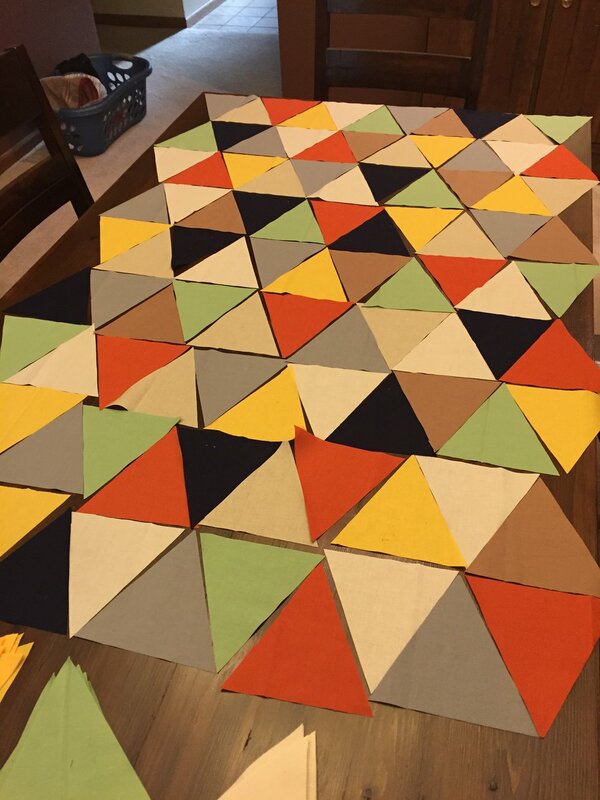 Here’s an inside look at my very first quilt! It’s not perfect, but I hope that someday, someone will love it for its imperfections just because I made it. And I am confident this quilt will wrap someone with love, forever. You can sew, and not be a perfectionist.